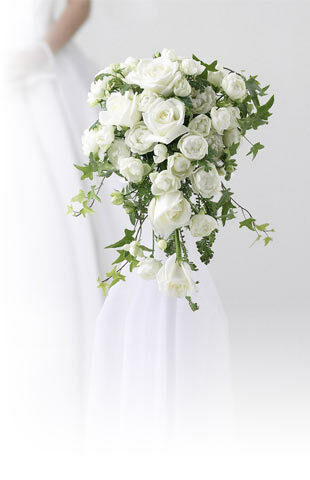 Green “eco weddings” are a fast growing trend for weddings. 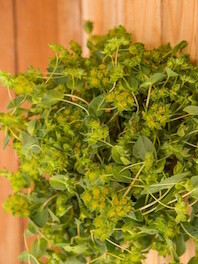 Bupleurum, with their vibrant green color contrasted against clusters of small yellow flowers, is an excellent accent filler if you are thinking on going green with your wedding. It is a common green filler that adds color and shape to flower arrangements and an air of freshness to any wedding bouquet or table centerpiece. Combine bupleurum, roses, dahlias, hydrangea, rosemary and thistle for a natural green and white themed bouquet, or bupleurum, roses, bells of Ireland, chrysanthemums, yarrow, variegated pittosporum and hypericum berries for a wild and rustic looking table centerpiece. Bupleurum with its green and yellow motif lends a wonderful bright contrast to purple, blue and orange blooms. Your Bupleurum may look a bit sleepy and thirsty on arrival but a good drink of water will liven them right up. These Ecuadorian premium-class flowers are known for their long vase life time of at least 12 days after being cut. Flower Explosion Bupleurum never sit in a wholesaler’s warehouse. They are shipped via state-of-the-art cold storage, as soon as they are picked, direct to your door—or wherever you specify. Remember to see our wide variety of colors and schedule your delivery two days prior to your event to allow sufficient time to hydrate your flowers.